This is “POP or FLOP”, where we taste test sparkling wines so you don’t have to! This week we’ve got Laurent-Perrier Brut Millésimé (Vintage Brut) 2006 in our glasses! Is this vintage Champagne a bottle of bubbles you should POP?  Or is it a FLOP?  Let’s see! Now, this particular bottle of Laurent-Perrier Brut is a 2006 Millésimé – or Vintage Brut – meaning that it represents grapes and juices of a single year. No reserve juice blending here! According to Laurent-Perrier, Cellar Master Michel Fauconnet only declares a vintage in the finest years and this 2006 Brut Millésimé is an outstanding and rare wine. But is it? Beautiful golden colour, with a lovely, vibrant perlage that dances in the glass. That’s not always the case with a vintage Champagne! This is a wonderfully complex Champagne, with predominant notes of burnt sugar, Creme Brûlée, and a slight hint of smoke. The wine also offers lovely notes of baked almond pastry, baked apple and surprisingly, a touch of honeydew melon! This champagne invigorates the sense and is a wonderfully rounded, medium-bodied wine with a rather yeasty character. Lots of citrus and fruit forward flavour, a bit of baked almond pastry and lingering grapefruit notes. Quite a bit of minerality but wonderfully integrated acidity and an overall well balanced character. We always say, Champagne is the perfect meal. 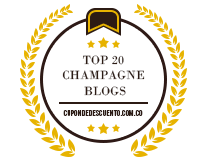 Well, in this case, we agree with that philosophy and definitely think that the Laurent-Perrier Brut Millésimé (Vintage Brut) 2006 is the perfect aperitif to start any occasion!  That being said, this wine would pair beautifully with a stuffed pasta in a butter sauce or a stuffed chicken breast. Yum! It’s a POP! Laurent-Perrier Brut Millésimé (Vintage Brut) 2006 is a wonderful example of a vintage Champagne! More complex than a non-vintage wine, it offers up a beautiful, unique bouquet of burnt sugar, with a unique touch of smoke, and almond pastry. This wine will continue to change as it ages, but it looks like the ten year mark is a perfect time to indulge!